Free style. Elegant and refined fragrance. Fresh and sensual composition that sounds especially bright in the open air. ALLURE HOMME SPORT toilet water in a practical and compact format of road spray.The composition, balancing between freshness and sensuality. The sparkling freshness of the Italian mandarin, underlined by the crystal chord, is revealed on the fresh and intense notes of cedar. And ..
Free style. Elegant and refined fragrance. Fresh and sensual composition that sounds especially bright in the open air. 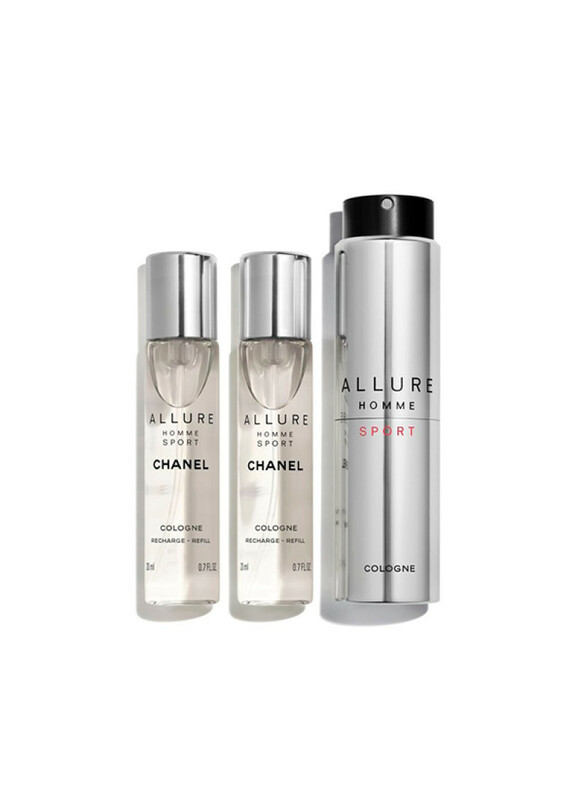 ALLURE HOMME SPORT toilet water in a practical and compact format of road spray. The composition, balancing between freshness and sensuality. The sparkling freshness of the Italian mandarin, underlined by the crystal chord, is revealed on the fresh and intense notes of cedar. And the almond sensuality of the Venezuelan bean is thin in combination with the enveloping notes of white musk give the aroma an intense and deep plume. Eau de toilette is applied with a broad gesture on clothing or directly on the skin. The perfect combination of technical thoughtfulness and practicality, the road spray format with the ability to change the bottle is ideal for use on a trip or after playing sports. It is convenient to take it everywhere.